Home » Dips/Sauces » Mustard Sauce – this sauce is easy to make, and goes well with meat and vegetables. 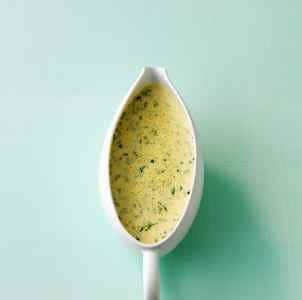 Mustard Sauce – this sauce is easy to make, and goes well with meat and vegetables. Mustard is so overlooked, you can make this sauce in just a few minutes. This sauce goes well on pork, chicken, and asparagus. Everyone will wonder where you got your secret recipe. 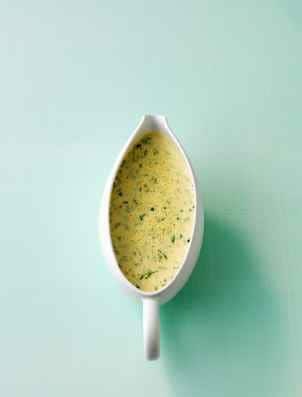 Mustard sauce is easy to make and goes well with meat and vegetables. In a pan melt the butter over moderate heat. Stir in the flour and mix together thoroughly. Pour in the milk and stirring constantly with a whisk, cook over high heat until sauce thickens and comes to a boil. Reduce heat and simmer for 3 minutes, then beat in the cream, mustards, vinegar, parsley, salt, and a few grindings of pepper. Serve at once.This makes a rather mild sauce. To increase the flavor add more of the mustards.